Africa can witness more success if it prioritises sanitation just like India has accorded it top national importance under the Swachh Bharat Mission. During the last decade of the Millennium Development Goals (2005-2015), many African nations improved their water and sanitation status. One of the important factors that led to this was the adoption of Community-Led Total Sanitation (CLTS) approach. Though CLTS was introduced in Africa nearly seven years after its launch in Asia, it received wide acceptance. All the 54 African countries, barring the relatively developed northern ones, introduced and scaled up CLTS by focusing on empowering local communities to end open defecation. This was done by inculcating collective behavioural changes sustainably, rather than waiting for subsidy from external agencies or governments. Earlier, there was hardly any country that implemented its national sanitation programme independent of the directives of funding or donor agencies. The loan or grant mostly came with the baggage of directives on toilet design, mode of supply of hardware and disbursement, including an outline for identifying the beneficiaries. But this changed after 2007 when many countries, who depended on external funding support, continued to demand funds or grants, but voiced their preference for no subsidy-CLTS approach over free and subsidised sanitary hardware supply. It proved convenient for many countries to incorporate CLTS, which previously faced challenges in mobilising huge funds for behaviour change. The rollout and adoption of CLTS has been so drastic that the number of open defecators in sub-Saharan Africa (SSA) has reduced in comparison to India. The UNICEF/WHO joint monitoring programme report suggests that between 2000 and 2015, SSA witnessed a decline in open defecation from 32 per cent to 23 per cent compared to India’s 66 per cent to 40 per cent. The inspiration came from India, Bangladesh and Nepal that experimented with CLTS before Africa. Many African countries, which did not want to depend on grants to construct free household toilets (these were often not used for the purpose they were built for in the first place) changed their strategies by shifting to CLTS so that they could use the same grants or funds for initiating behavioural change. It was difficult for many of these countries to waste resources on supply-driven sanitation approach, which did not necessarily see significant impacts in reducing open defecation as is being followed by some Asian nations like India and Cambodia. 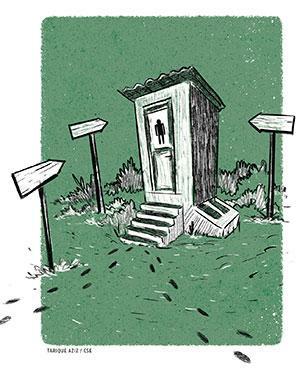 The Asian problem is that in some countries free or subsidised toilets constructed either by the government or developmental agencies continue to be the focus. Thus, there is less emphasis on local empowerment. 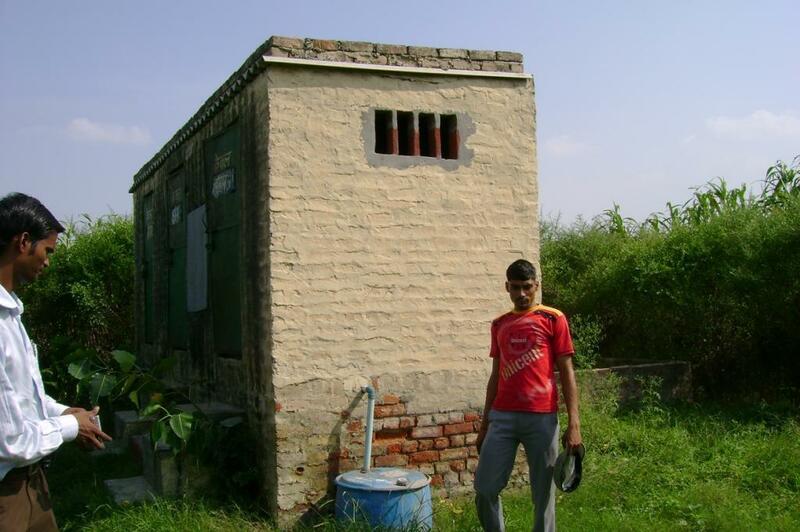 One of the most striking examples of a national sanitation strategy developed in India is based on the assumption that local communities lack awareness. Also, as they are unable to change their habit of open defecation or are financially incapable of constructing toilets, free or subsidised toilets are a must. The household hardware subsidy amount in India has increased ten-fold over the past couple of decades. While India has spent billions of dollars through sanitation programmes on toilets, the usage of the same has remained far from satisfactory. Africa should take note of two factors when it comes to comparison with India: first, the rather slow progress in terms of collective behavioural change in India as compared to many of its nations owing to a different enabling environment. Second, the convergence of the three essential elements of CLTS—behavioural change (personal, professional and institutional), understanding CLTS tools and techniques (from pre-triggering to post-triggering, and post open defecation-free sustainability) and enabling environment (policy context, inter-institutional coordination and budget protocol)—is missing in India. However, Africa has successfully created a synergy of these elements to enable authorities and communities. This actually determines the true progress of CLTS, resulting in many positive health outcomes. Despite several limitations of the Indian model of sanitation, Africa can still emulate its positive aspects. The continent can witness more success if it prioritises sanitation just like India has accorded it top national importance under the Prime Minister’s flagship Swachh Bharat Mission (SBM). Further, African nations can emulate India’s systematic involvement of government and non-government institutions across all levels. Here, it is important for Africa to realise that in a federal system like India, states have to mobilise matching grants to go with the national funding support from the Centre to make SBM successful. In other words, the national mission is not implemented through a single source of funding, but through a collective initiative duly contributed by various funding sources. One of the most successful initiatives of India is the formation of Self-Help Groups (SHG), which are savings and credit groups formed by poor women to collectively manage billions of rupees. It is interesting to see how the Indian government has successfully involved them in SBM. Finally, Africa may learn valuable lessons from the media campaign launched under SBM, where the message is constantly broadcast through over 800 TV and 230 radio channels across the country. This leaves no stone unturned to ensure that the message is loud and clear: end open defecation in India by October 2019. However, only time will tell whether these efforts will leave the country saturated with largely unused household sanitation facilities or whether open defecation will become a thing of the past. (This article was first published in the 16-31st issue of Down To Earth under the headline 'Valuable lessons in toilet building').